It isn’t uncommon for actors to take home props from films or television sets they have worked on as souvenirs. Daniel Radcliffe has two pairs of Harry Potter’s famous glasses at home, one from the first film and one from the last, while Ian McKellen kept the key to Bilbo Baggins’ house in Bag End. Robert Downey Jr. didn’t want to take home anything small, instead asking for the 30-foot tall giant ‘A’ which adorned Stark Tower at the end of the first Avengers film. Now, that is a souvenir! Having worked on Game of Thrones since 2011, Kit Harington decided he too would like to take something home from the set as a souvenir. However, just like Downey Jr., Harington chose a large prop instead of something small and it now lives in his shed because of course it does. In fact, Harington wants to turn the prop into a water feature which would be pretty awesome. If you guessed the prop is the statue of Jon Snow which lies in the crypt below Winterfell, you are right. Harington revealed in an interview with Zoe Ball on BBC Radio 2 he was the only actor to take their crypt statue as he is ‘narcissistic’. I kept that statue. You know, the one in the crypt? I kept it. They sent it to my house so I’ve got it in my shed. How sad is that? I was the only one who kept their statue. That’s how narcissistic I am. I’m going to turn it into a water feature. Asked by Ball whether he was happy with how the series finished, Harington kept his cards close to his chest but explained he feels ‘loss’ over the show ending. You know, it’s weird walking around with this big secret as we know how it wraps up, how it ends. It’s like when you finish a book, you are not happy its over are you? You don’t finish a good book and go, ‘oh, I’m happy I have finished that’. You have this grief it is done and it is exactly the same doing nine years on this show. No matter how it ended or how it does end, there’s always going to be a bit of you which goes, oh, you know, there’s this kind of loss around it. So I am maybe not happy, but very satisfied. I’m so excited for people to see it. I think it is going to be extraordinary. Hopefully it will change TV again like it did originally and break boundaries. I think it might. The world doesn’t have long to wait now as the final season of Game of Thrones is dropping in 88 days on April 14. Exciting! The final season of Game of Thrones drops on April 14 (US). 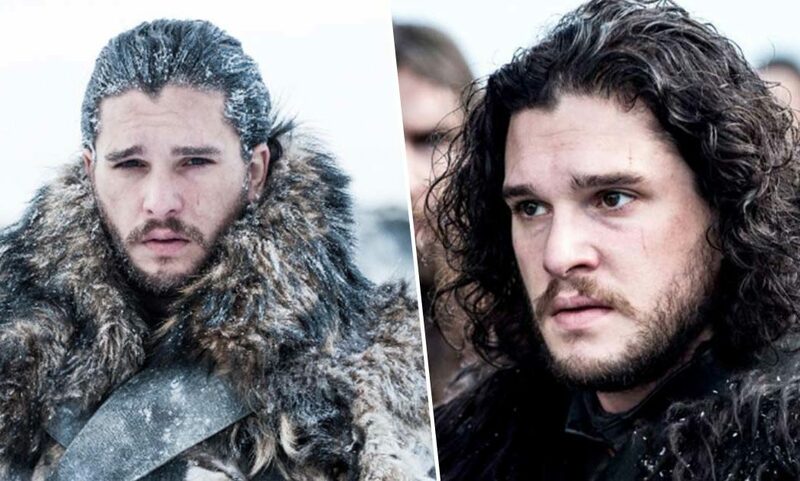 Kit Harington reveals his thoughts on the end of Game of Thrones + More with Zoe Ball!